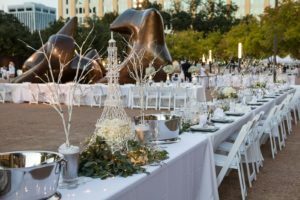 The international events have spread to 70 cities on 5 continents, with close to 120,000 guests attending each year. Pasquier’s son now leads the international organization, which sets fairly complicated membership rules. 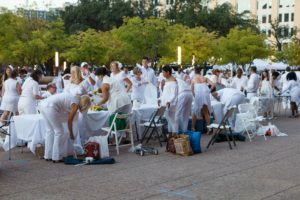 Only members or their guest can attend the diner en blanc, always held in a public location, kept a closely guarded secret until moments before the crowds appear. 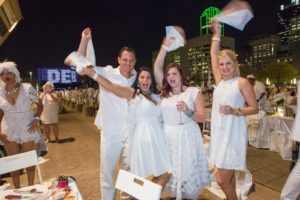 Last year’s introductory diner en blanc in Dallas was held September 16 on the Continental Avenue pedestrian bridge, with 1,200 attending. So when socialwhirl.com was invited to cover this year’s event, we were anxious to see what transpired at these secret social events. 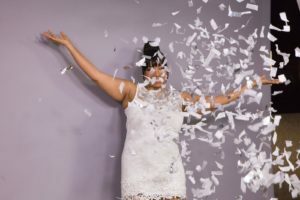 The only caveat, media were required to follow the same strict dress code as the guests–elegant white attire only, and no tennis shoes or flip flops. Unsure how many white accessories were available in local stores late in September, I borrowed a white fascinator and a white handbag from friends. That meant I only had to buy a pair of white high-heeled sandals. Luckily my neighborhood Dillard’s shoe salesman found one pair in my size, left over from the summer. Photographer Chris Waits had to buy a pair of white pants to accompany me to the event. That included food/beverages/tables/chairs/linens/china/silverware/decorations. The guests worked diligently to set up their tables. At the end of the event, they would take them down again (after cleaning up all trash). Trash bags were taken away, so the grounds were left just as pristine as they were prior to the event. For those who didn’t want to carry quite so much baggage, online orders for food and beverages were available until a week before the September 30 event. 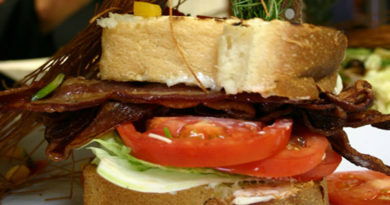 Those who ordered through Food Glorious Food or other vendors could pick up their orders after the tables were set up and decorated. 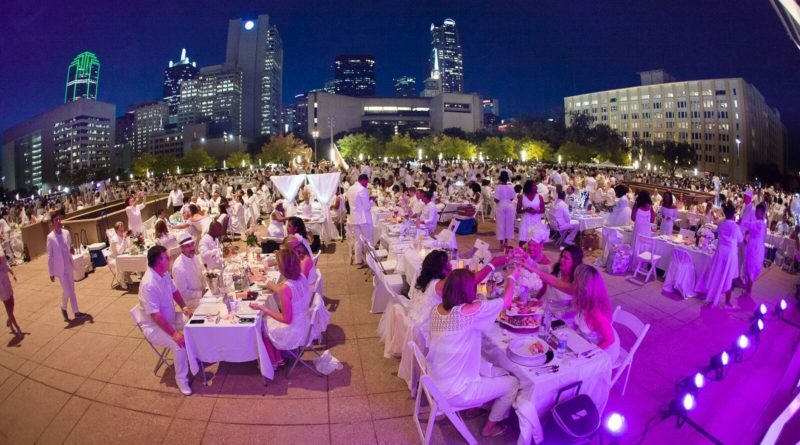 This year the famous napkin wave to signal “time to eat” was delayed almost an hour while late-comers set up stations. Numerous bottles of Apothic White wine were poured as Moet and Chandon champagne corks popped throughout the evening. 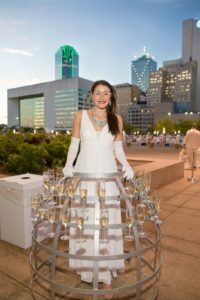 The festivities continued with an after party at the Omni Dallas, the hotel sponsor. 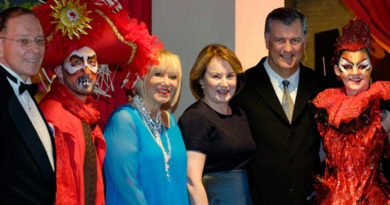 Other event sponsors included Southwest Airlines and Mercedes. Total cost of the evening for participants varied depending on the quality of the food, beverages and table decorations. How stylish you looked also added to the cost. Elaborate fashions were displayed, ranging from long gowns to top hats. 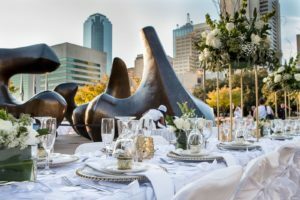 After paying a fee of around $35 each to attend, the rest of the tab could easily run into hundreds of dollars for those who could afford to be that extravagant.